The Lounge Network are proud to have been providing high end professional level hosting to New Zealanders for over 16 years, which is a very long time in the New Zealand Internet market. We concentrate solely on providing affordable, high quality, and sustainable website hosting, for the New Zealand market. The Lounge Network began our life in 1998, when as a small group of Victoria University Students, we began to offer website design and hosting to family and friends. This was at a stage when the Internet in New Zealand was still in its infancy. In 2001 we turned this small hobby business, into a professional company, and branched out into concentrating on website hosting. Since then they haven’t looked back, and the company continues to grow steadily with clients throughout both New Zealand and the world. Unlike most NZ web hosting providers, we mainly cater solely to the New Zealand market, and host website’s for individuals, organisations, and businesses from all over New Zealand. The website’s we host vary in size, from single static one page sites, to complex database driven sites, consisting of thousands of web pages. Many hosting providers now operating in the NZ hosting market are overseas owned, where much of their profits go offshore. Instead the Lounge Network is proud to be a 100% New Zealand owned business, and are based in Wellington, which is the capital city of New Zealand. We are one of the leading Wellington Web Hosting Providers. The website hosting servers that the Lounge Network use, are all high spec machines, and are all personally monitored 24 hours a day, 7 days a week, by professional datacentre technicians. The Lounge Network use professional and secure world class data centres in both New Zealand and the United States of America. The customer support that the Lounge Network provides to clients, is real New Zealand based support. This means that if you email us, you will get a reply from a real person based in New Zealand. This also means that you are communicating with someone in your own time zone. The Lounge Network handle all communication with professionalism, and treat clients with the respect they deserve. 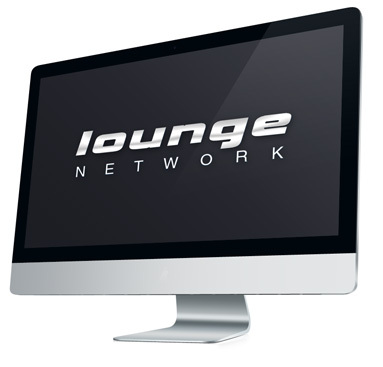 The Lounge Network aim to get any issue resolved as quickly as possible, and in the most efficient way as possible. There are some hosting providers operating in NZ, that may at first appear to be NZ owned and based in NZ, but actually operate their business and support from outside NZ. They may do this for cost reasons, as the wages in developing countries tends to be a lot less than New Zealand wages. Some are based as far away as India, Malaysia, the Philippines, China, United Kingdom, and even Russia. Some hosting providers may also contract out their customer service to offshore online support centre’s to save them money, so you maybe communicating directly with someone who is not directly employed by the company that you are purchasing the hosting service from. Instead they maybe employed by the call centre company that the hosting provider hires. Communicating with offshore support staff, can mean communication problems, and can be very frustrating and time consuming for the client. Purchases this type of hosting can result in a false economy, where you initially may save a bit of cash in the short term, but resolving problems may end up costing a lot of your time and cause immense frustration. The old clique often applies ‘ You get what you pay for’. We have also seen some companies now charging extra for personal support, so that isn’t included in the hosting/domain fee. We believe in treating all our clients the same, so we would never do this sort of thing. The web hosting market in New Zealand is very competitive one, and over the years many hosting companies have come and gone. Most of these hosting companies fail, due to them not being able to offer a long term sustainable pricing structure, as they start up business trying to undercut their opposition on price. As a guide, if the web hosting plans look to good to be true, they usually are. The Lounge Network are proud to have been operating for over 12 years, and this due to being able to offer website hosting at both an affordable and sustainable price. One of the keys to the Lounge Networks success, and what makes us different from other NZ web hosting companies, is the very high level of server performance and reliability. Other key features are the affordable large sized web hosting plans, and the wealth of features in the control panel, that allow clients to self manage their own domain names, website hosting and email with ease. Control Panels are included with all Premium hosting plans. Many web hosts don’t even come close to offering the features that the Lounge Network offer, or our excellent service and support. Setting up a website by yourself is often a confusing experience, however the Lounge Network try to make things as easy as possible for you. For example, the Lounge Network are one of the only Web Hosting companies that give you the option of having us personally switch over your Domains DNS settings for you with your existing domain provider, so they are configured to our servers. This takes away all the hassle of our clients needing to modify these themselves, which can be rather confusing and time consuming to the beginner. The Lounge Network is a collection of servers and server networks, based in Professional Datacentres in both New Zealand and the USA. All data centres are World Class facilities, with secure and climate controlled environments. The server networks are monitored by the data centre technicians 24 x 7, 365 days a year. The Lounge Network have been providing hosting since 2001, and we provide web hosting in both the Linux and Windows server environments. With our Business Class Hosting Plan, we are able to offer Unmetered Diskspace and Traffic for your website, for the low price of $45 + GST per month. All server networks we use, utilise some of the most up to date server technologies available in the world. These servers are suitable for most types and sizes of websites, from high traffic database driven and e-commerce websites, through to simple one page brochure sites. There are multiple levels of security required to access the premises, and the servers are connected to a full UPS system with backup generators. A small selection of some of our clients, many which have been with us since we started in 2001. Read genuine unsolicited feedback that the Lounge Network has received from some of our many very satisfied clients. Read our official Lounge Network Blog, where we post useful articles and reviews of useful products and software that our clients may find useful. We have a wide variety of different partners we use in the running of our business. See if we have any employment opportunities currently available.